September 2008....as marriage and a Galveston honeymoon was brewing one week away for Stefan and I, Hurricane Ike was brewing in the atlantic with plans to make landfall in our honeymoon spot one week prior to our marriage, and a great litter of redbones was brewing at Tree Rizin' Kennels. This litter was born 9/10/08, as we were gearing up to survive Hurricane Ike, which was the first hurricane in my 30 years in East Texas to reach us over 200 miles north of Galveston, and indeed was even felt all the way up in Ohio in the place of Ike's birth! It seemed appropriate to name him Atlantic Panic and call him IKE in memory of the history making storm that coincided with his birth. We have plans for Ike to take the show world by storm, as his royal pedigree dictates! Ike's father already boasts a national breed specialty win, with his mother boasting a redbone sectional win with limited showing. Mom "Crown" was born in the first litter of puppies that contained the only two redbones to win the overall at the world show in their three generation pedigree. 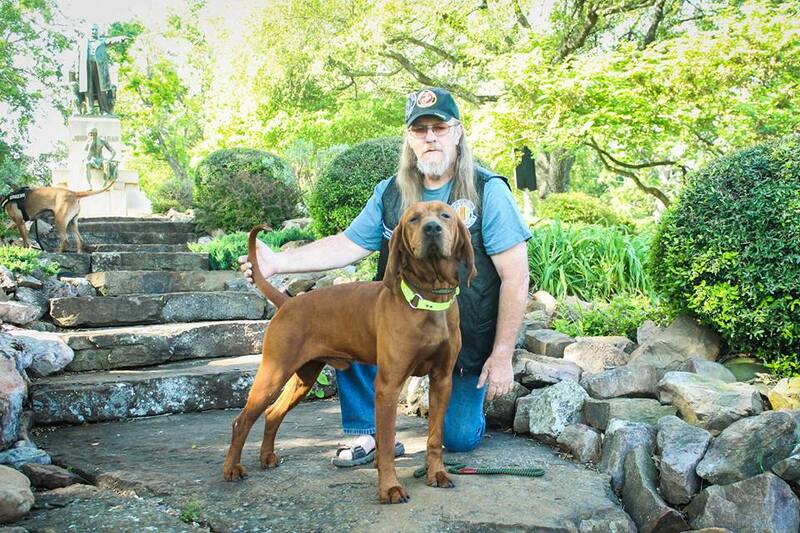 Her sire GRCH GRFCH GRWCH WSHOWCH Only In America is undeniably the winningest redbone show male of all time, winning among other things the world show championship (only redbone male in history), Autumn Oaks, and the 2006 Purina Race.